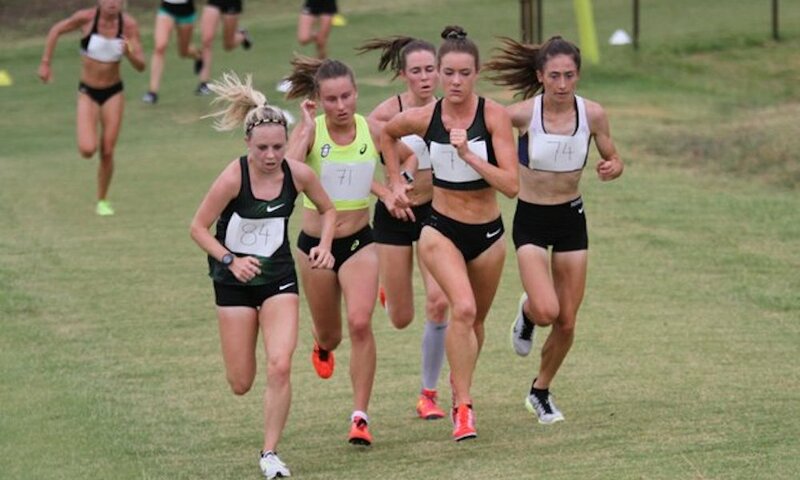 Purdue beat the home talent in Australia, while runners fought off the British winter weather in races at Meltham, Ferriby, Lee Valley, the Olympic Park and Farnham. 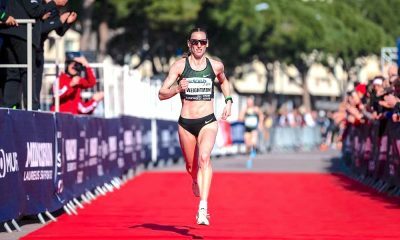 Charlotte Purdue’s victory at the Athletics Australia World Cross trial event and open 10k in Stromlo will surely provide a welcome confidence boost as she continues her preparations for April’s London Marathon. It’s great to see the Aldershot, Farnham & District distance star continue to post fast times on the country and at parkruns, her last outing being a useful 16:29 clocking on Christmas Day in Melbourne! Staying abroad but across the pond, GB international Andrew Butchart made an impressive return to the track when he finished fourth over 3000m at the New Balance Indoor Grand Prix in Boston (January 26). Butchart clocked 7:46.50 in his first indoor race since breaking the navicular bone in his right foot at the Millrose Games in New York last year. Chris O’Hare was fifth in a PB 7:47.78 while Hagos Gebrhiwet won the race in 7:37.41. Staying in Boston, Lasswade’s Guy Learmonth clocked an indoor PB of 1:46.98 to finish 5th in the 800m, and Ciara Mageean ran 4:28.31 to set a new Irish indoor mile record. The last of our foreign races saw Charnwood’s ever gritty GB ace Gemma Steel finish 14th at the Cinque Mulini Cross Country in Italy (January 27). Henry Pearce, Pippa Woolven, Emile Cairess, Mhairi Maclennan, Jack Gray and Kate Holt were the senior winners at the South, North and Midland Cross Country Championships. 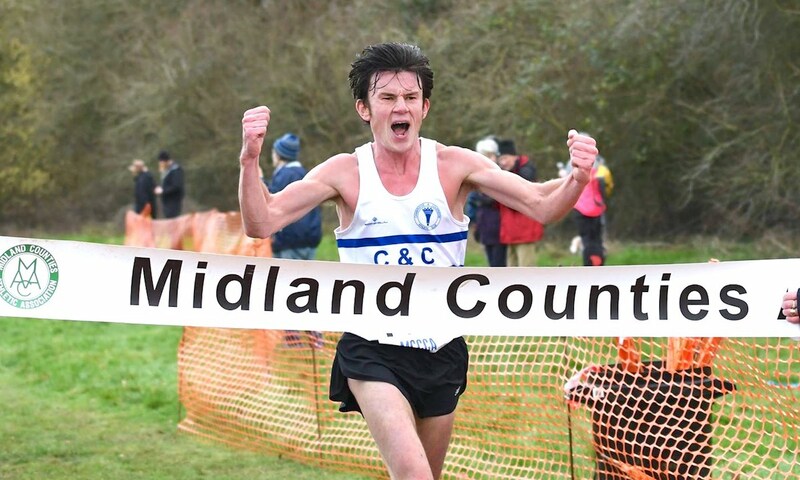 The full report from the regional cross country championships can be found here. Fast Running also recently chatted to three of the regional winners about their training. Catch up an interview with Henry Pearce here, Mhairi Maclennan’s training insights can be found here, and find out about Jack Gray’s ‘quality over quantity’ running philosophy here. Farnborough Half Marathon organisers were treated to some quality competition (January 27) despite the majority of the UK’s top runners competing at the regional cross country championships the previous day. Guildford & Godalming AC Simon Goldsworthy ran a fast – and solo – 68:03 to win by more than three minutes from Southampton’s Max Cosley, who crossed the line in 71:28. Ed Hutchings ran a 74:33 to earn the third podium spot. Hook Runner’s top veteran Elaine Whyment ran a superb 82:12 to win the women’s race with ease, the V45 never in danger of ceding victory. 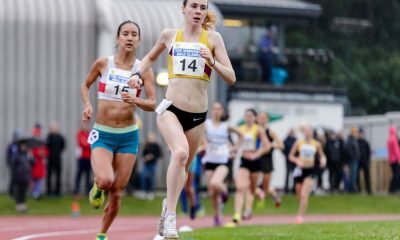 Waverley Harriers’ Hannah Pullen’s 84:35 was just enough to hold off third placed Jo Vickers from South London Harriers, the V40 just eight seconds behind in 84:43. 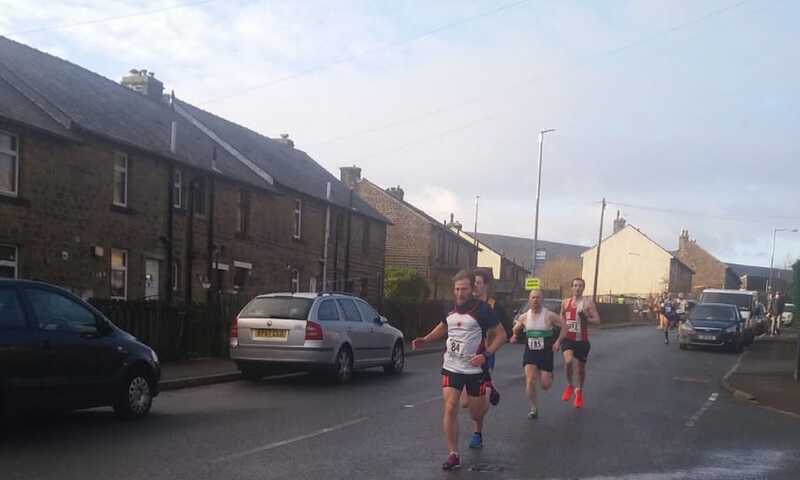 The Meltham Tough 10k in Yorkshire lived up to its name on Sunday (January 27) when runners took on a course which organisers describe ominously as including ‘plenty of gruelling climbs, long fast descents and guaranteed challenging weather’! Penistone Footpath Runners’s Gareth Cooke was a worthy winner in 36:06, with Holmfirth Harriers’ Fionn Kerry fighting hard for second in 36:21. Royton Road Runners made them both work for their prizes before crossing the line in 36:30. Fast Running’s Class of 2018 member, Leigh Harriers’ Laura Riches showed characteristic grit and determination to win the women’s race in a strong 39:09. V40 Margaret Beever from Stainland Lions was some way back in 41:36, although her time certainly reflects the tough nature of the course. Third prize went to Longwood Harriers’ Helen Roby, who ran 42:43. Staying in Yorkshire – or God’s Own Country as locals might say – the Ferriby 10M also witnessed some fiery racing despite the near zero temperatures (January 27). Lincoln Wellington provided the top two men and the third lady on a successful day for the club. LW’s Will Strangeway won convincingly from club mate Ryan Page, however, his 53:50 nearly two minutes clear of Page’s 55:34. Barton & District’s Ben Sadowyj made it an exciting race to the finish when he clocked 55:39 for third. City of Hull’s Carla Stansfield was also a clear winner in the women’s race in 60:31. Fast improving Nicola Curtis was second for Scunthorpe & District in 63:03, showing she’s returning to her best form with a PB over the distance. LW’s Natalie Burns also ran well for third, crossing the line in 63:28. Dan Romeril took the overall win at the RunThrough Lee Valley 10k (January 26) in 34:06 from Freddie Hodgson’s 37:46 and Marcus Threadgold’s 39:06. Joanna Mobed took the top women’s prize in 41:51, nearly as convincingly as the men’s victor with her gap in victory being nearly three minutes. Laura Syrett finished runner up in 44:52 while Priya Gopaldas took third place in 48:52. The London event’s 10M race, the RunThrough Lee Valley 10M, saw Sam Wilkinson and Serpentine’s Camilla Langlands take the wins in times perhaps affected by strong winds that struck much of the UK this weekend. Wilkinson was over a minute ahead of second placed Dariusz Nehrebecki, their times 64:04 and 65:21 respectively. Martin Harrison took the third spot in 65:45. Langland won the women’s race in 71:57, with second placed V35 Jane Walsh never far behind with a 72:40 result. V45 Kathryn Evans was a fine third in 74:26. Finally the RunThrough Lee Valley Half Marathon was won by Adam Paterson and Kate Thompson. Paterson’s 73:27 saw off Ernestas Vedeikis and Lee Rogers, their times 73:27, 74:36 and 74:37 respectively. Thompson was the first woman across the line in 94:34, while Angelique Smit was second in 97:25 and Gabriela Podusu third in 99:12. Konstantinos Touse and Kirsty Fitzgibbon took victories for New Balance Run Club and Basildon AC at the Queen Elizabeth Olympic Park 10k on a typically cold and grey winter’s day in the capital (January 27). 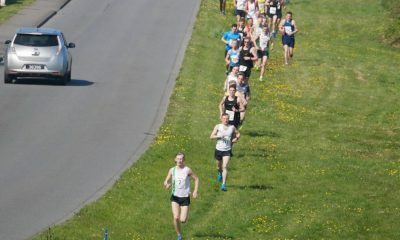 Touse’s winning time was 36:08 from Matthew Fox’s 37:11, while Jon Phillips’ 37:42 was good enough for third. Fitzgibbon took the women’s race in 39:40 from Ann-Katherin Kotte’s 42:07, with Caroline Fox third in 43:10. Meanwhile the UK’s parkrun scene was hot for fast times yesterday as Hayley Carruthers and Dominic Shaw ran the quickest of all in Middlesborough and Lytham Hall. 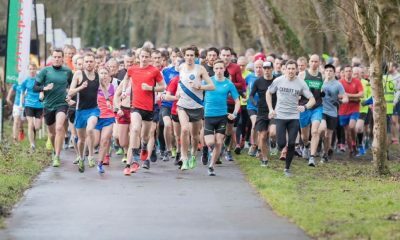 The parkrun top 10 can be found here. Are you a fan of Fast Running? Then please support us and become a patren. For as little as the price of a monthly magazine you can support Fast Running – and it only takes a minute. Thank you.